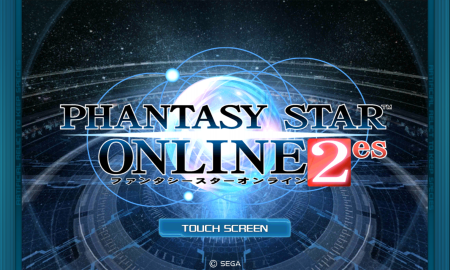 Phantasy Star Online 2es is the smartphone version of the popular online RPG Phantasy Star Online 2! Players utilize an arsenal of chips with various effects to fight against enemy forces. 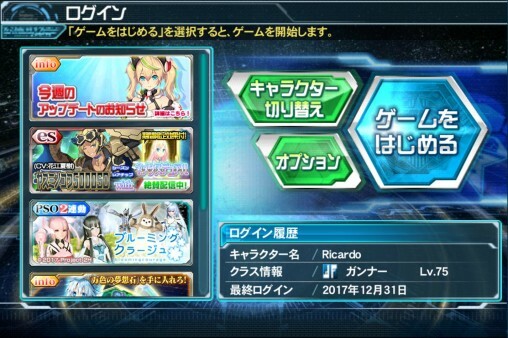 A recap of previous updates for PSO2es! 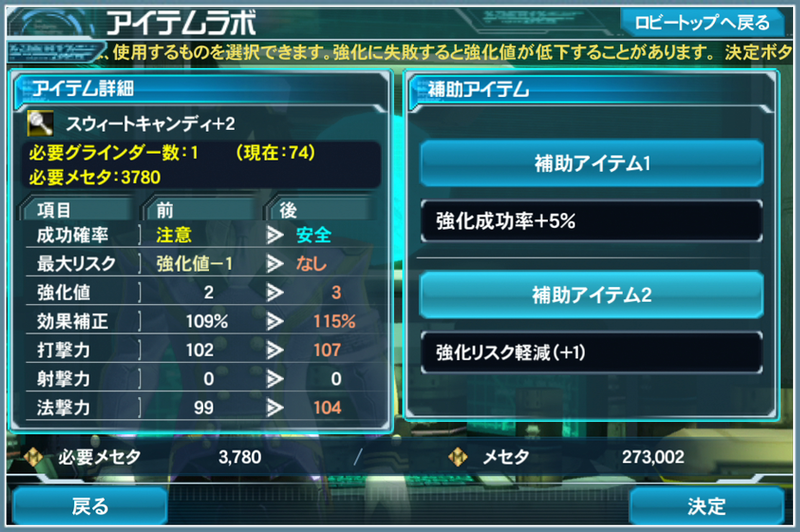 ② Recover HP slightly periodically. ③ When a Dark element chip is in this chip’s link slot, extends the effect duration when a chip is activated. ④ Reduces the chip cost of Dark Photon Arts / Technics while this chip is equipped. 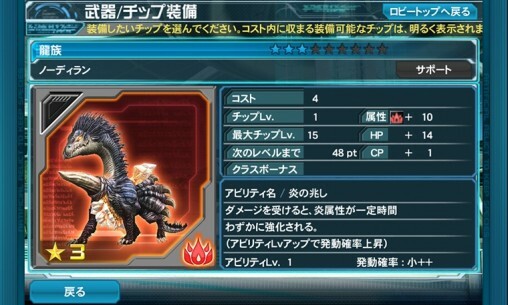 ①Increase damage greatly against Natives, Oceanoids, Mechs and Dragonkin. ③ Increases the speed of normal attacks and movement. ② Grants a chance to avoid damage from enemies. 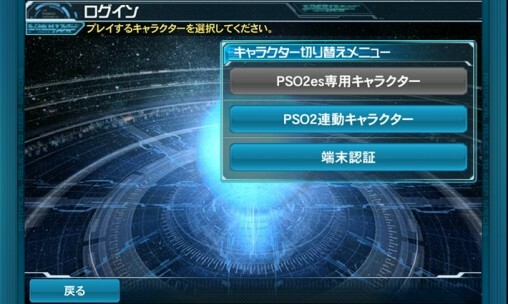 PSO2es is region-locked in the Google Play Store. 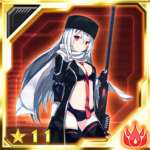 Please use the .apk file linked at the top of this post to install the game. Everyone starts at level 1 regardless of their PC/Vita/PS4 progress. 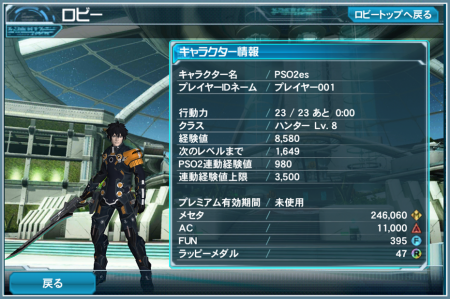 The current PSO2es level cap is Lv. 70. Subclasses are not available in PSO2es. 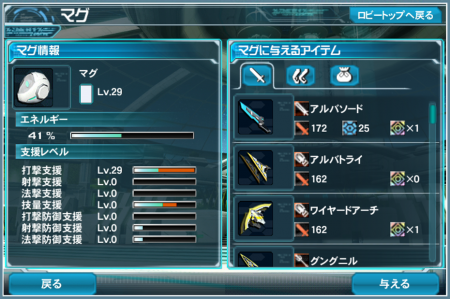 Accessory Slot 2 and 3 are not available in PSO2es. Some accessories will not display in PSO2es. You can not log into PSO2 and PSO2es at the same time. PSO2es friends list is separate from the PC/Vita/PS4 version. You can obtain campaign items by pressing the item bag icon in your mailbox. 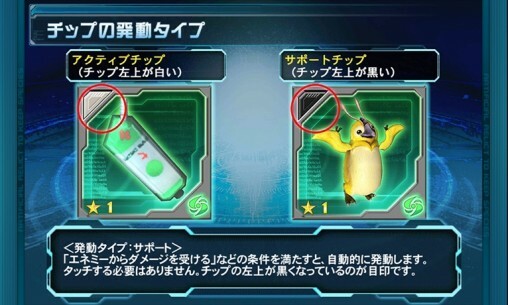 Rewards like Rappy Medals and OP Meds can be retrieved from your mailbox. 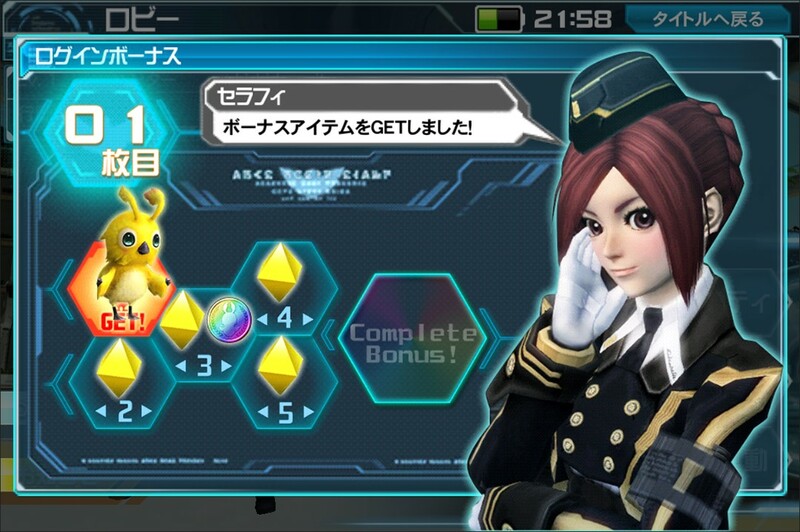 PSO2es has its own exclusive Emergency Quests. PSO2es has Push Notifications to alert you of PSO2 and PSO2es Emergency Quests. 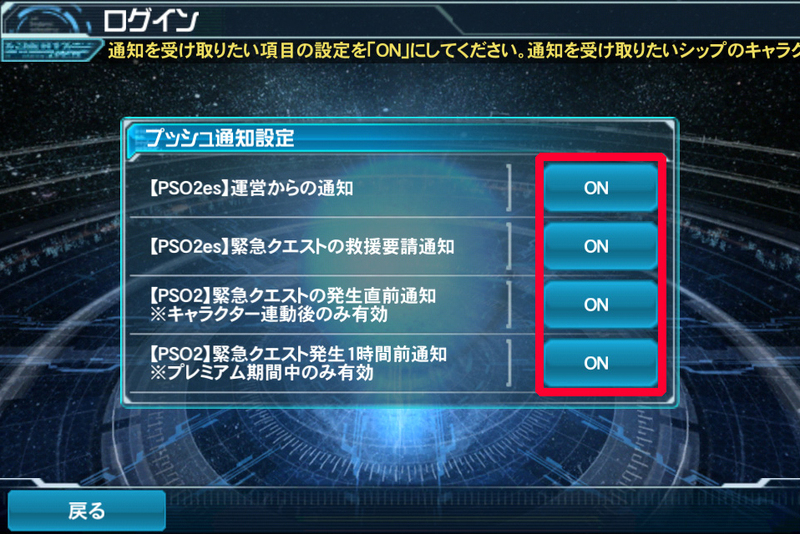 Those with active [Premium Sets] will receive notifications 1 hour in advance for PSO2 Emergency Quests. 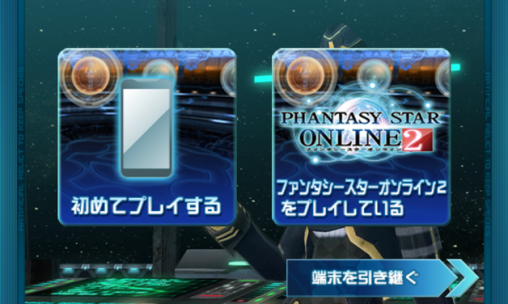 You can purchase AC with your Google Wallet directly within PSO2es. 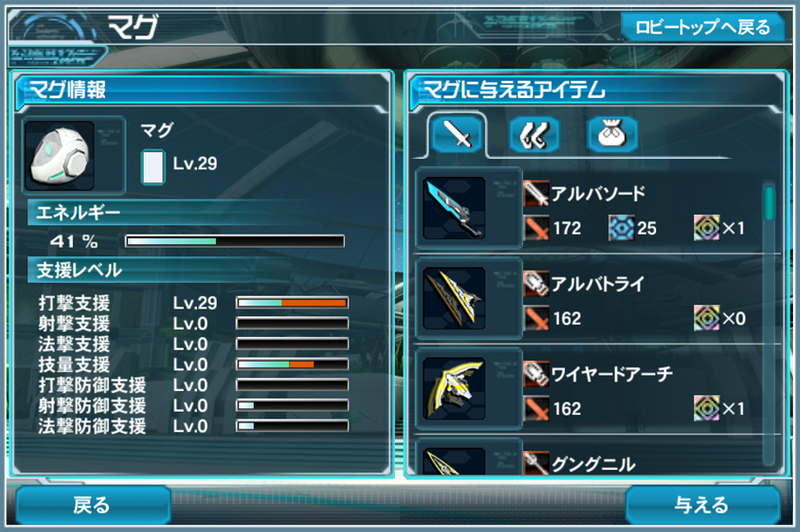 Some items in PSO2es will drop with the [Soul Receptor] special ability. 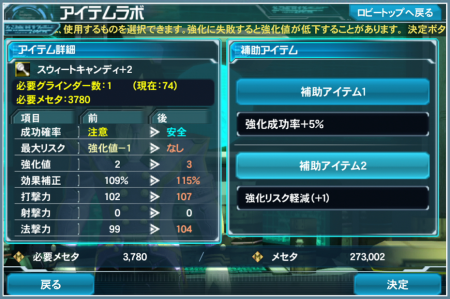 When used during affixing, it greatly boosts the success rates of soul type abilities. Players can receive Ultimate Quest drops daily through the [Quick Search] button. Check the [Quick Search] toggle in this guide for more details. 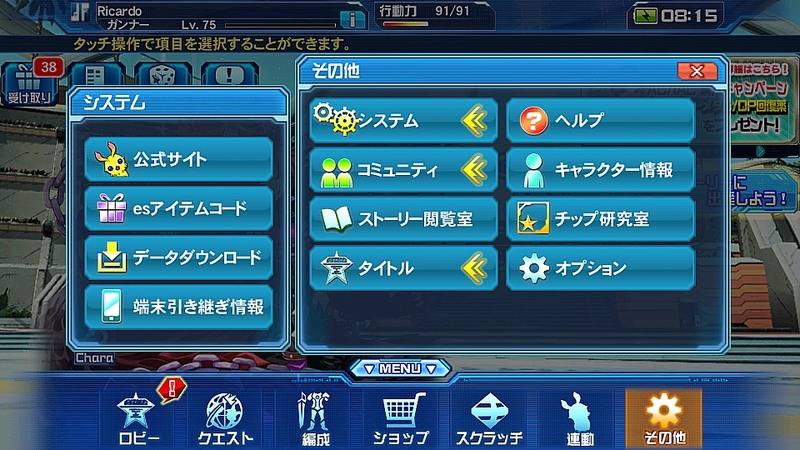 Select オプション (Options) at the Login menu. 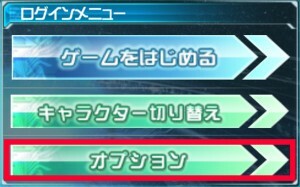 Select プッシュ通知設定 (Push Notification Settings) at the Options Menu. Touch [ON/OFF] to toggle the notifications. 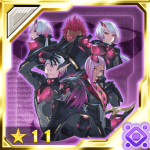 Receive [Assistance Request] alerts for PSO2es Emergency Quests. 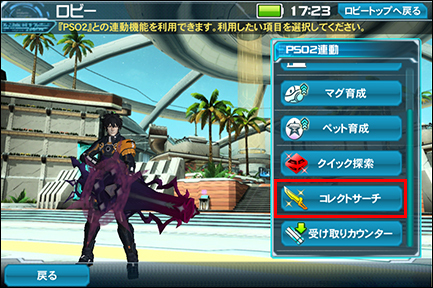 Receive alerts for Emergency Quests 15 minutes before they appear in PSO2. 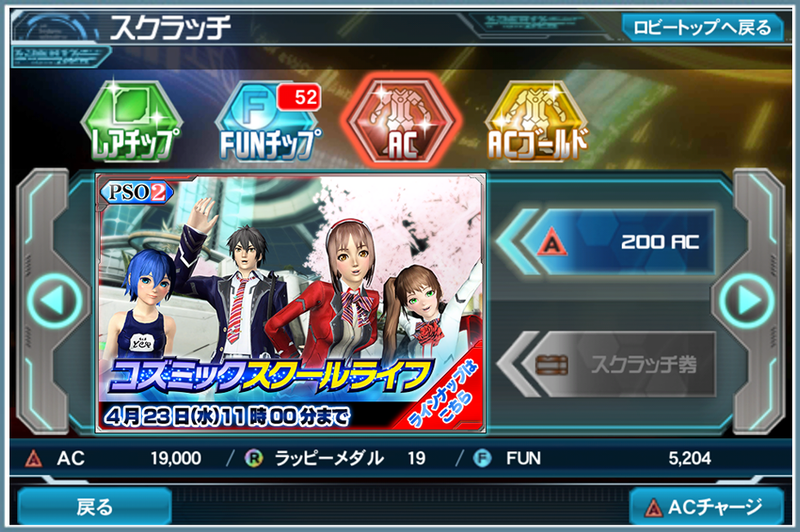 Receive alerts for Emergency Quests 1 hour in advance for PSO2. After you reach the lobby menu, tap the [Shopping Basket] icon at the bottom of the screen. This opens a menu like in the screenshot above. 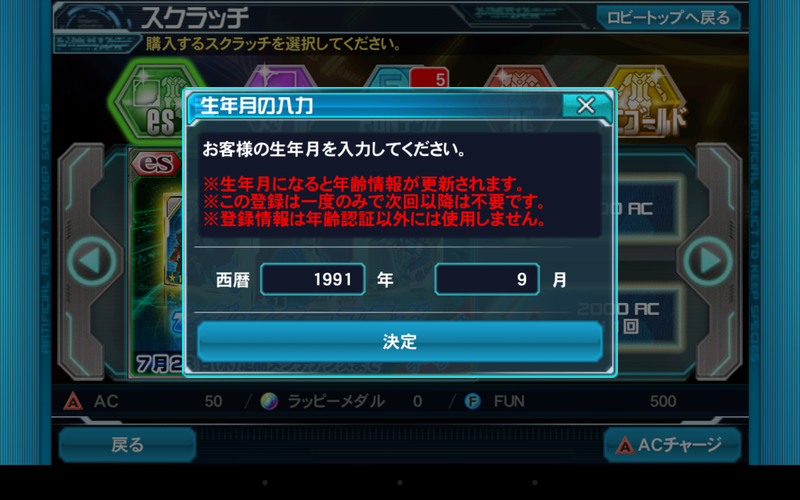 An age confirmation screen may appear during your initial ARKS Cash purchase. Input your birth year and birth month and press the bottom button to continue. This birthday check limits the amount of AC a minor can purchase within a certain time period. 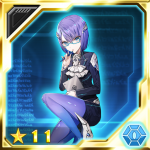 Players who linked their PSO2 accounts will receive [EXP 15,000] tickets for each day they log in. 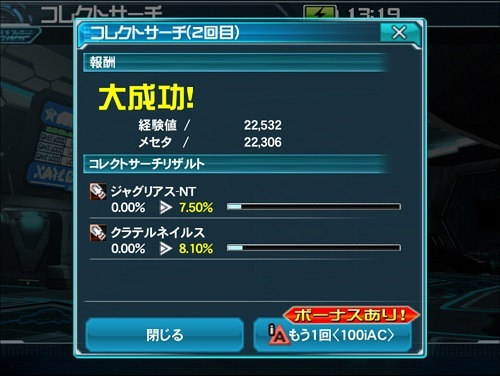 EXP Tickets can not be used in PSO2es. These tickets will be sent either to your Item Pack or your Mailbox if your Item Pack is full. 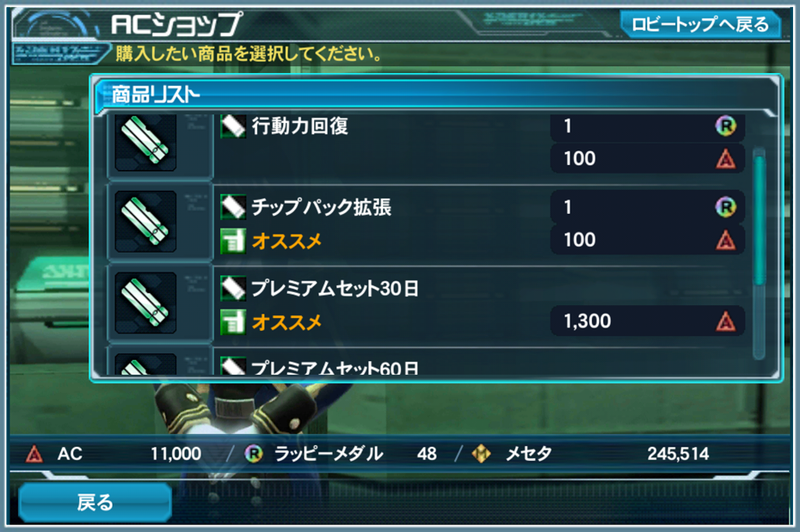 Collection Search allows you to slightly fill your Collection Sheet gauges in PSO2es! 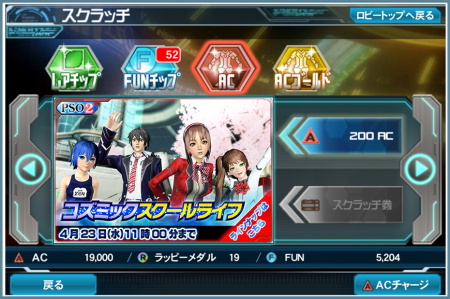 You can access this in the PSO2連動 menu in PSO2es. You can use this feature for FREE once per day. 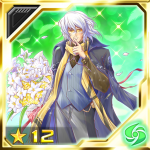 Using it 2 or more times a day will cost AC. 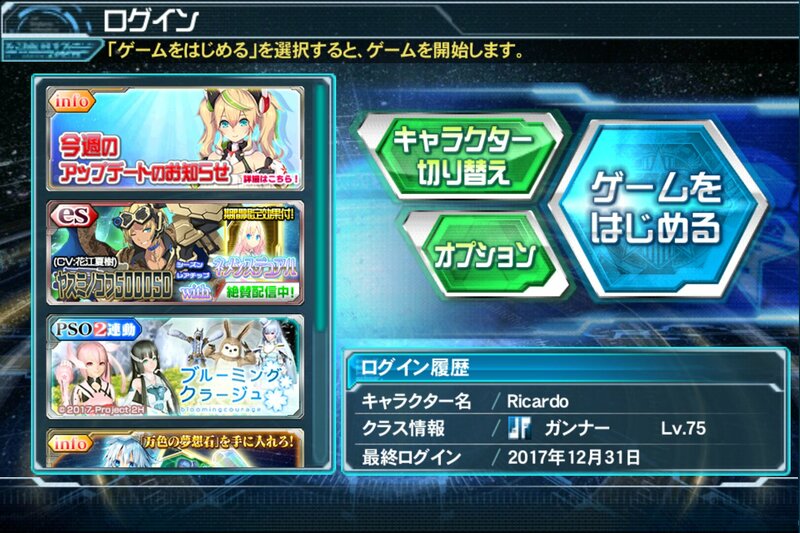 Collection Search usage will reset at 5am JST each day. 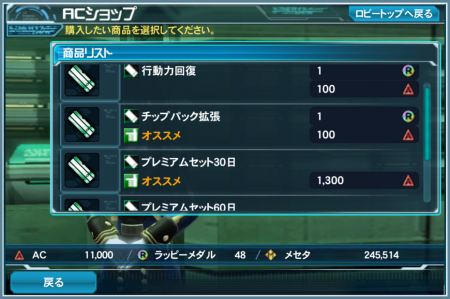 When the gauge is maxed out, you’ll need to pick up the item in PSO2. There’s also a chance for your Collection Search to be [Very Successful]. 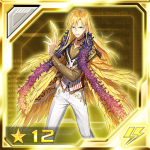 When this happens, the gauge will increase at a higher rate than normal. Players with linked accounts will gain access to PSO2es storage by logging into PSO2es. This storage box contains 100 item slots. 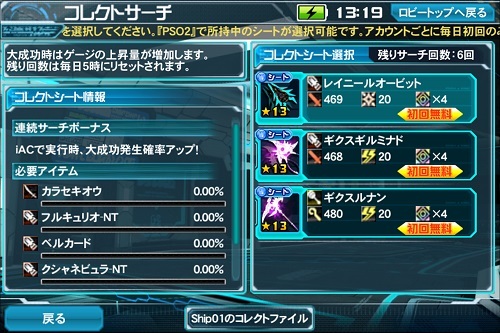 Since this storage is ship based, items stored within PSO2es Storage will not transfer along with you when you change Ships. 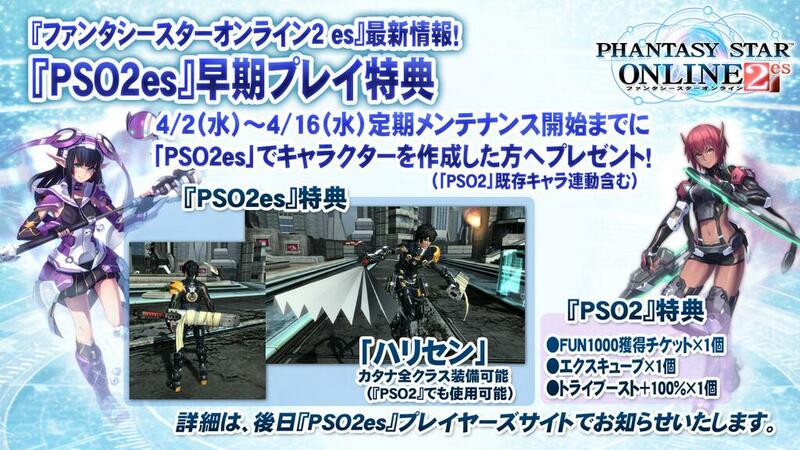 Players who fail to log into PSO2es within 30 days will not be able to place items into PSO2es Storage. 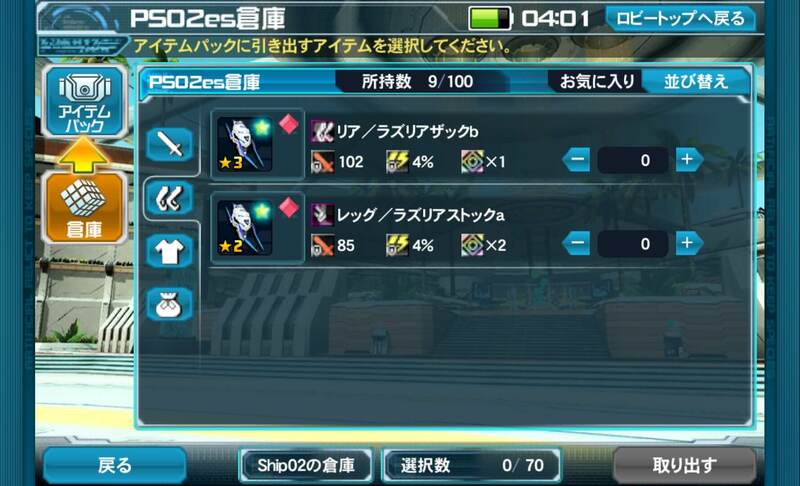 You may still take items out of PSO2es Storage even if you don’t log into PSO2es within 30 days. Keep a periodic backup of your 16-digit device transfer code. You may not be able to log into the game if you lose this code! 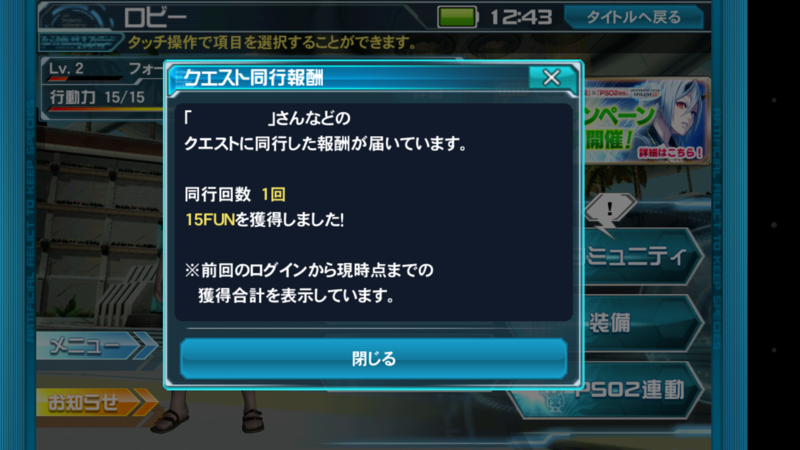 Check “Device Transfer” tab in the guide for more details. Hello and welcome to Phantasy Star Online 2es. 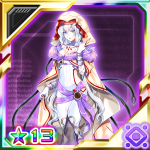 Throughout the game you will be assisted by Seraphy who will be teaching you the ins and outs through various tutorials. After installing the game you will be given a menu with several choices. Click on the tabs below to see an explanation of the various functions. If you are a first time player, press the button on the left. If you already have an account with PSO2, select the button on the right. 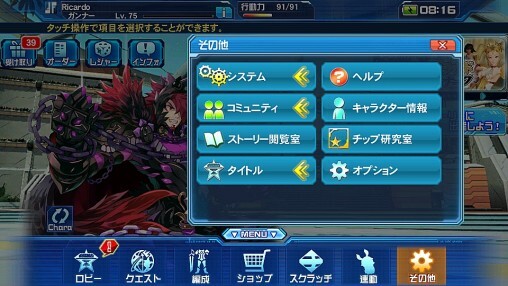 Device Transfers allow you to restore your character data onto another device. This will be displayed as a 16 digit code which must be copied and kept in a safe place for future reference. 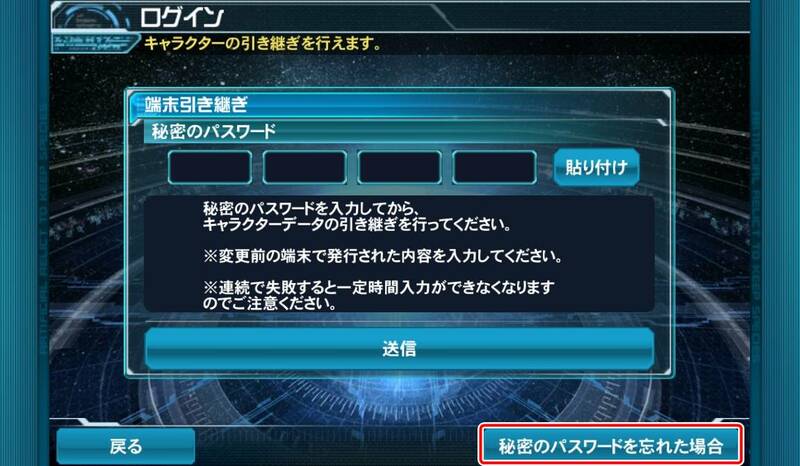 During PSO2’s initial startup, you may enter the code here to access your previous data. 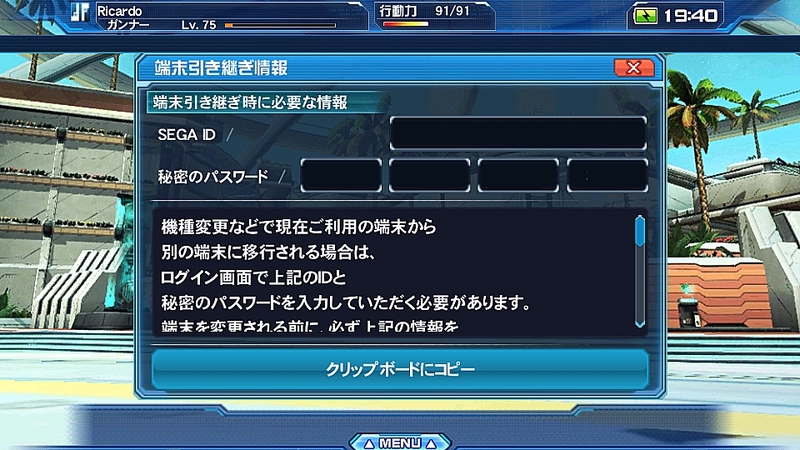 This code can be retrieved from the Lobby Menu. However, if you have forgotten your 16 digit code, there is a new button to send the code to the email address registered to the SEGA ID. Click on the [Device Transfer] tab for more information. 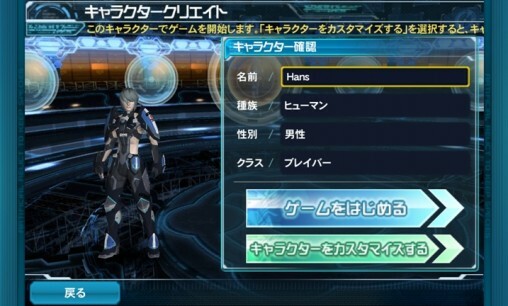 If you select the bottom option, you will have to download another patch to enable the character customization feature. After the initial startup, you can login with your SEGA ID and Password. The checkboxes below each entry will save that content for future use. Next, select a character to start the lengthy tutorial. Do you have A SEGA ID? 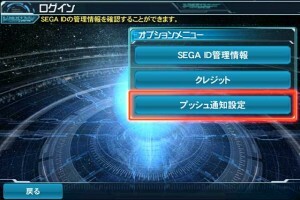 If you currently do not have a SEGA ID, press the button on the left. 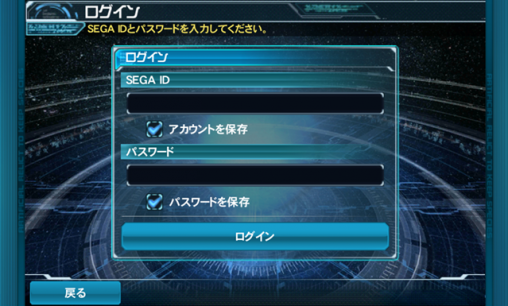 If you do have a SEGA ID, press the button on the right. Forgot your 16 Digit Code? 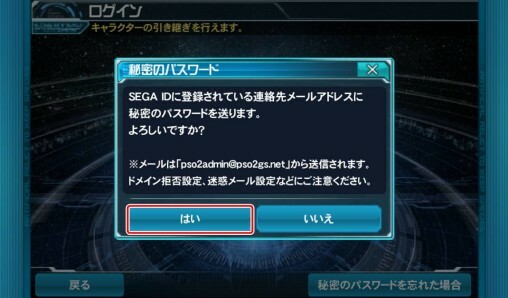 If you have forgotten your 16 digit password, you can press the button on the lower right corner to send the password to the email address registered with the SEGA ID. 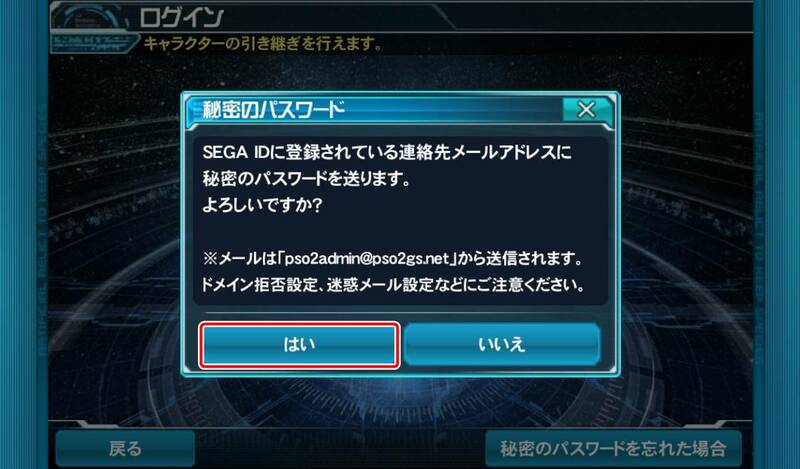 Press the button on the left to send the 16 digit code to the email address registered on the SEGA ID account. 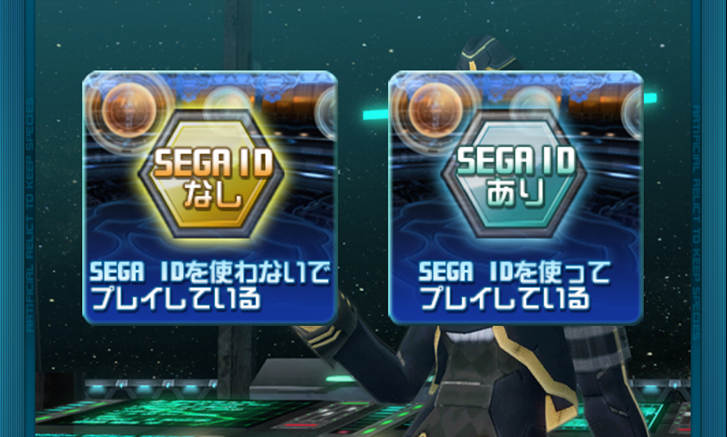 Those without a SEGA ID push the left button, and those who have one should push the right button. For more information on Device Authentication, please click the “Device Transfers” tab. Collect stamps and receive rewards when you login each day! Whenever someone uses your character as a traveling companion, a screen will display upon logging in showing the amount of FUN you received since you last logged in. 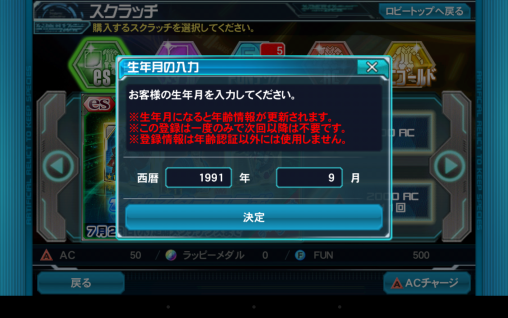 If you try to login to PSO2es on another device, you will be required to enter a 16 digit code. 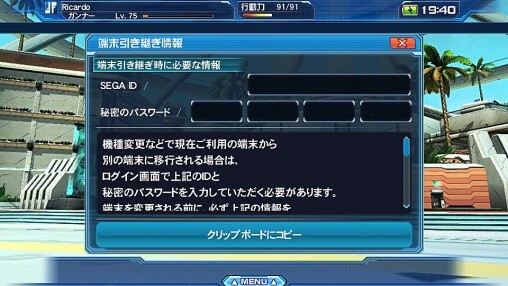 If you have forgotten your 16 digit password, you can press the button on the lower right corner to send the password to the email address registered with the SEGA ID. 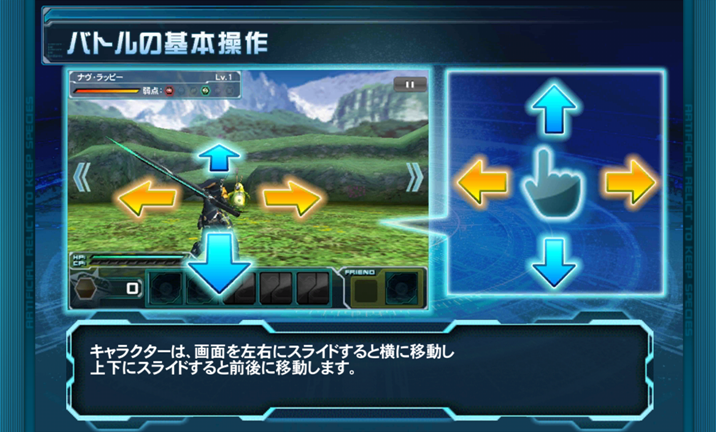 PSO2es offers the option of letting you save your Transfer Code for future use. 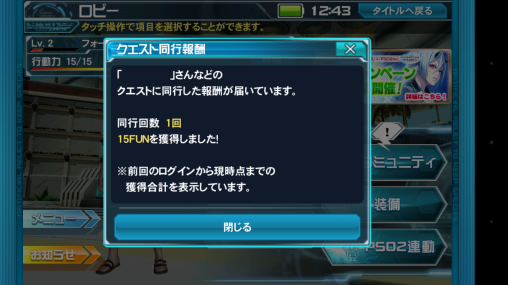 In order to access this, you’ll need to tap the [その他 Other] button in the Main Menu. Afterwards tap the first button with the yellow gears. 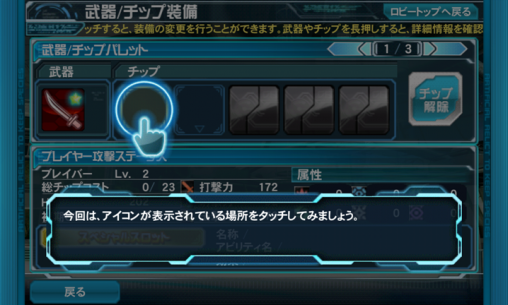 Once this menu opens up, tap the button with the little cell phone icon: Device Transfer Info [端末引き継ぎ情報]. Clicking the large button automatically copies the code to the clipboard. Save this code in a location that can be accessed off of your cellphone. 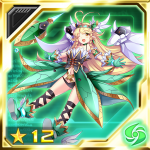 Seraphy will teach you basic combat operations throughout the tutorial. 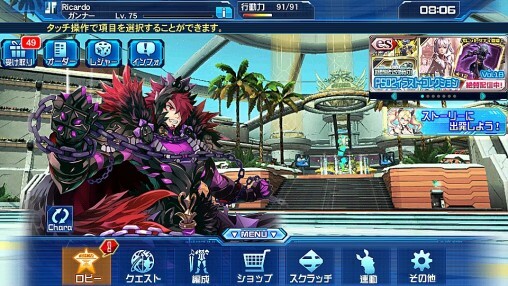 You can swipe the screen in each direction to dash out of an oncoming attack and tap on the screen to attack each enemy. You may switch targets by tapping the arrows at the left and right side of the screen. 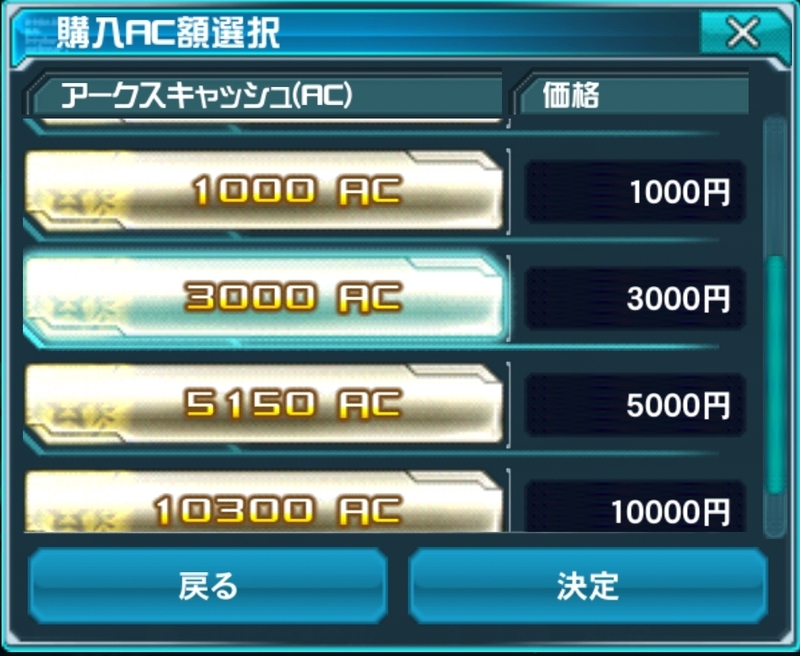 You’ll obtain various chips along the way, and equip them to your chip palette. We’ll talk about chips in more detail in another section. 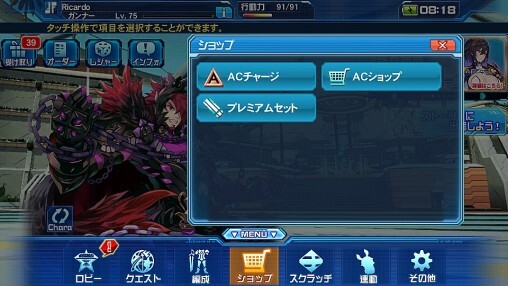 However for the sake of this tutorial, you’ll need to know that some chips act as healing items, and some are photon arts that may require certain weapon types. 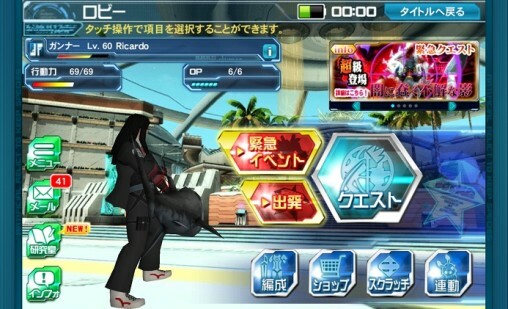 After completing the tutorial, you’ll be transported to the main lobby. This menu will provide access to an assortment of features. 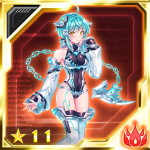 Emergency Quests contain rare bosses that appear for a limited period of time. 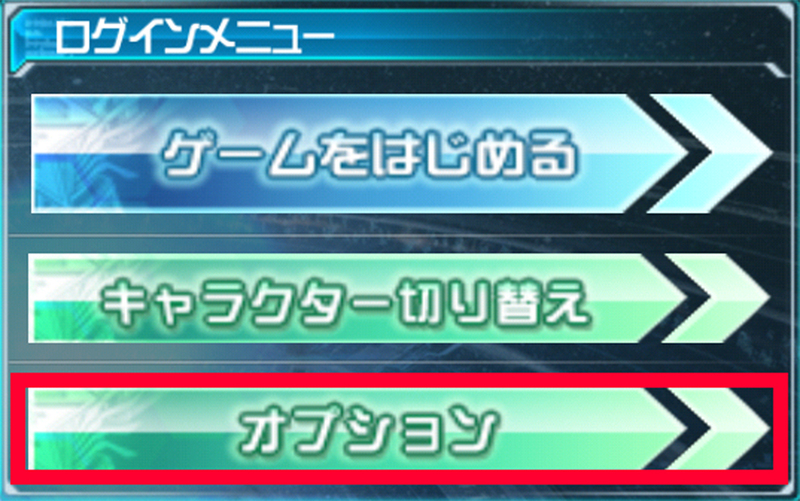 You can participate in the quest by pressing the [Depart] button that appears when an Emergency Quest is available. These quests use their own form of energy called Operation Points, indicated by the OP Bar at the top of the screen. Active Chips have a white corner, must be activated manually, and consume CP. Support Chips have a black corner, activates automatically under certain conditions. Each chip has a certain element attached. Equip the best combination of chips to dramatically increase your elemental values. Long press on a chip to access more detailed information. Click the button below to see descriptions of chips!